McClelland “M.J. “Brown, a traveling salesman for the Tropical Paint Company arrived in Tiffin , Ohio with little more than $300 in his pocket. The year was 1936. The twenty-two year old with little formal education from Whitesburg, Kentucky convinced a Green Springs, Ohio banker to loan him sufficient money to purchase a pick-up truck and roofing materials. 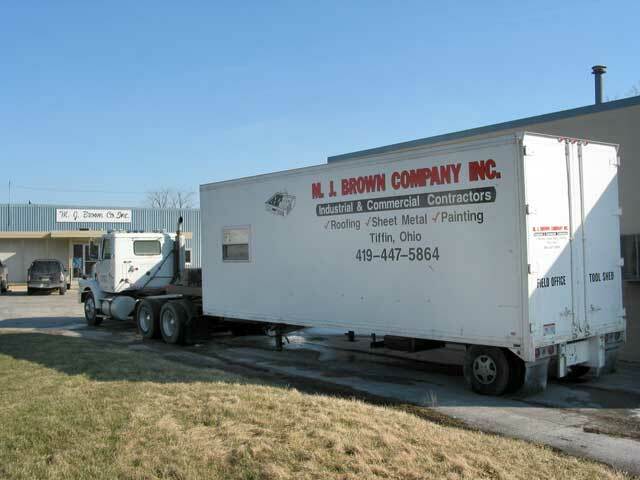 Thus began what was to become the M.J. Brown Company. 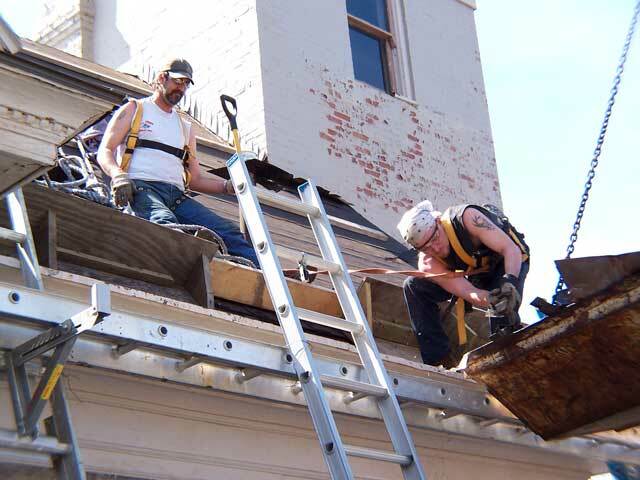 He continued to sell paint in a six county area while also doing roofing and painting jobs. His company, the M.J. Brown Decorating and Roofing Company, specialized more on painting in the early days. The new company first located at 98 West Market Street in downtown Tiffin, the site currently a vacant field. Carol Stine answered an advertisement for an office girl in April of 1953. Carol remembers M.J. saying “You’ll be like all the rest. You’ll work a while then run off and get married somewhere.” He was correct. Carol ran off to Ojai California in 1965 where she married M.J. on February 14, Valentines Day. She continued working along side M.J. until the late 80’s. She still drops in frequently for a visit. The company relocated to it’s present Wall Street address in 1960. The original building has been expanded many times over the years as business demands required additional space. The M.J. Brown Company was incorporated in 1965. M.J., always a man on the go, developed a mobile home park on the site of an abandoned stone quarry in 1968. Although operated by son Michael, he continued to be involved with the day to day operation until the park was sold in 1999. Carol remembers people coming from all around the Tiffin area to view the Christmas lights and decorations. 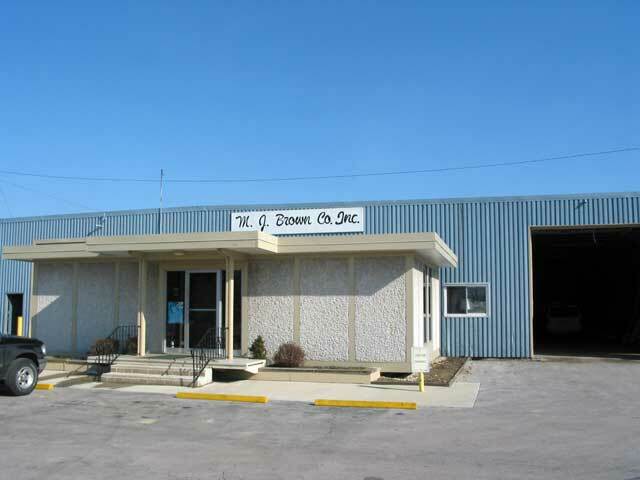 Other ventures include the conversion of a commercial laundry building into small individual business spaces and the construction of a manufacturing building on the site of the M.J. Brown Company. Son Mark joined the company in 1978, followed by a second son Matt in 1982. Mark remembers going from door to door in rural Ohio with his father selling paint for the barns. 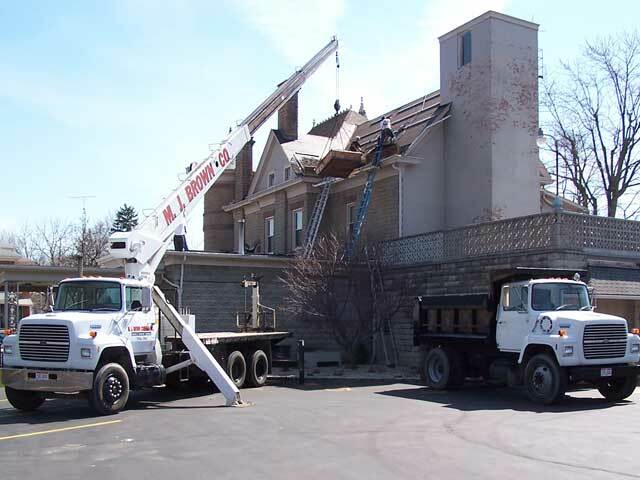 The company traveled extensively throughout the eastern and southern United States during the years from 1980 to 1992, primarily supplying roofing and maintenance support for Uniroyal Tire, Chemical and Textile Divisions. 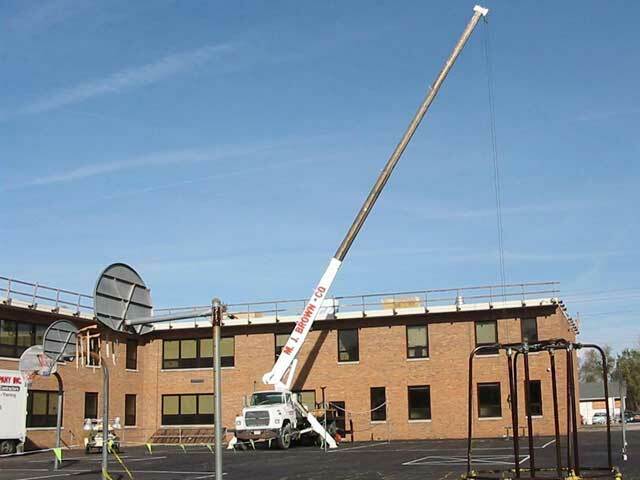 The M.J. Brown Company performed maintenance, roofing and sheet metal work for Whirlpool Corporation for 45 years and for American Standard for more than 30 years. M. J was active within the community, with membership in the local Elks Club and a Life Member of the Green Springs ,Ohio Lions Club. He was an avid gardener when not working, taking great pride in his fruit trees. Many customers received unexpected gifts of fruit and vegetables during the growing season. M.J. died at age 86 in 2001, still active in the business. The company continues it’s quality service under the direction of President Matt Brown and Vice President Mark Brown.